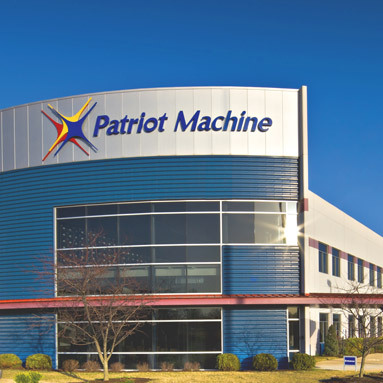 Titanium Machining Technologies Create New Opportunities for Patriot Machine Inc.
“Impossible” is a word not commonly used at Patriot Machine of St. Charles, Mo., a world-class manufacturer of complex aerospace parts and assemblies. Patriot has built its business on successfully completing the most difficult manufacturing challenges through innovative process solutions and machining technologies. As an added service to original equipment manufacturers, Patriot collaborates with design engineers to optimize part designs and improve manufacturing efficiency. Patriot cemented its reputation with the addition of new and advanced titanium machining capabilities. Judy Burns, president and cofounder of Patriot Machine, recognized the importance of expanding with differentiating equipment. After thorough analysis, the company decided on two Makino 6-axis horizontal machining centers coupled with a 32-pallet automated material-handling system, as well as one Makino T4 5-axis horizontal machining center. 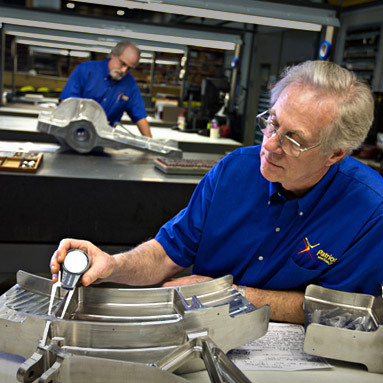 Incorporated in 1991 by Judy and Bob Burns, Patriot initially opened for business as a CAD/CAM services company. At the time, CAD/CAM was a new and developing technology, but the husband-and-wife team saw the potential to push the envelope for complex part designs. “Early CAD/CAM technology was far from perfect, and initially, some simple designs required more time to complete than drafting by hand; however, its true capabilities were discovered in more complex three dimensional designs,” explained Bob. 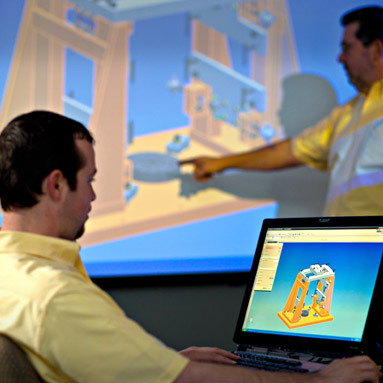 “It was really the inevitable growth in design complexity that pushed the need for CAD/CAM. And when you think about the parts being produced today, there’s really no way these designs could be accomplished by hand. Aerospace manufacturers have been producing aluminum parts for several decades; however, with recent advancements in machine capabilities, the complexity of these parts has grown exponentially. Patriot was able to gain a leg up on the competition during this dynamic transition period by making early investments in large 5-axis aluminum machining capabilities. One example of this capability was a variable-inlet application that originally required 96 individual components. As a result of cost-cutting initiatives, the customer approached Patriot with the challenge of manufacturing their newly designed monolithic components. Patriot viewed this request as an opportunity to demonstrate the MAG3’s capability of machining complex contours and closed-angle features. Due to the success of its initial investment in 2004 of a MAG3 and an 8-pallet automated material-handling system, Patriot has since expanded its aluminum machining capacity by adding a second MAG3H. The pallet system is now integrated to feed both machines. The company attests that the evolution it has experienced with aluminum part designs has been a unique learning experience and has prepared Patriot for similar experiences in hard-metal part designs. Over the last decade, aerospace industry demands for higher fuel efficiency have led many aircraft manufacturers to use more titanium in aircraft designs. 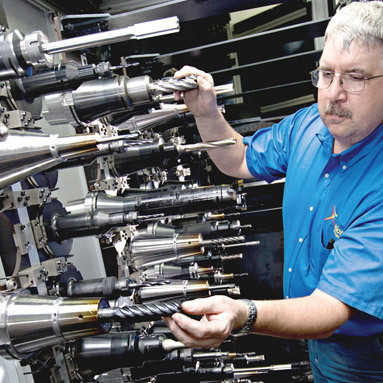 Previously, Patriot produced titanium parts on 5-axis vertical machining centers; however, according to Bob, operators and engineers experienced a variety of limitations when developing processes for some of the newer part designs. Patriot evaluated a variety of machine technologies and processes, including gantries and cryogenic machining. Based on its previous experiences with Makino’s MAG3 machines, the company decided to learn more about Makino’s T4 5-axis horizontal machining center and T2 6-axis horizontal machining center. A primary component of Makino’s T-Series machining centers is its ADVANTiGEâ„¢ technology, a set of key machine features Makino developed to counteract the traditional limitations of low metal-removal rates and limited tool life in titanium machining. These features include a high-power, high-torque tilting spindle, Collision Safe Guard and Autonomic Spindle Technologies, high-pressure, high-flow coolant system, vibration damping system and a rigid machine construction. 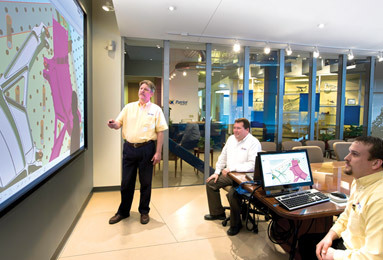 Patriot described ADVANTiGE technology as the secret ingredient that ties everything together. And while the company specifically liked the coolant system, vibration damping, high-capacity automatic tool changer and HSK-125A spindle interface, it’s the complete harmony of all ADVANTiGE technology features that has enabled Patriot to reduce cycle times and improve the overall quality of its complex stainless steel and titanium parts. “The improved spindle, rigidity, vibration damping, coolant delivery and part accessibility of these machines have completely changed the way we engineer our processes." For the highly skilled engineers at Patriot, the T-Series machines represent an opportunity to work together to develop new techniques and manufacturing methods that few in the industry thought possible. Patriot illustrated the effectiveness of the combined ADVANTiGE capabilities through a titanium pivot hub component that featured four holes located on a vertical sidewall, just inches above a horizontal plane approximately 20 inches long. 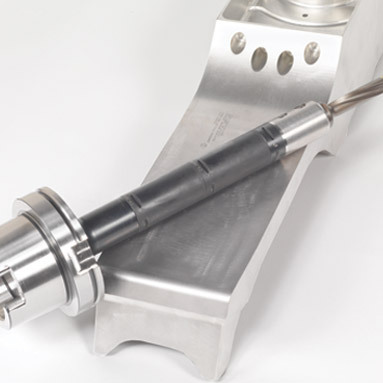 According to Rosner, the difficult-to-reach hole locations could not have been machined using previous equipment; however, the T2’s rigid spindle and robust coolant options enabled engineers to reach across the horizontal surface with a 23.6-inch tool, only thousandths from the part floor. Walter Burns, Bob’s brother and Patriot’s manufacturing engineering manager, asserted that some of the biggest benefits to productivity have been increased part access and tool capacity. “The more rotational motion a contoured or multi-sided part requires, the more the T2 outperforms,” he said. One contract that Patriot recently won, in part because of the T2’s capabilities, was a part requiring plus and minus 45 degrees of tool rotation. Using previous machinery, the job would have required five setups and multiple fixtures; however, the 6-axis capabilities of the T2 with its unlimited B- and C-axis rotation enabled the company to combine four setups into one to complete the part with improved accuracy. “Our throughput capabilities for complex stainless steel and titanium applications are some of the most competitive in the industry, and they only stand to improve with our recent investment in a 32-pallet automated material-handling system. We will not have to tear down and set up our fixtures for recurring production. We’ll leave the fixtures set up on the work cubes and cycle them as needed, allowing for single-piece flow and no setup cost on complex parts,” said Walter. With this increase in available throughput, Walter noted the elevated importance of the T2’s optional 192-tool-capacity automatic tool changer, explaining that in order to ensure maximum utilization rates while minimizing labor, the company opted for the largest magazine available. “A typical application is programmed with about 40 tools, and while 90 percent of these tools are shared between jobs, it’s to our benefit to have additional capacity for the tools that are different from part to part and for more complex parts in the future,” he said. Patriot has noted several plans for expansion following the completed installation of its new automated material-handling system. “As awareness of our new hard-metal manufacturing capabilities continues to grow, we’re looking at two additional T2s to complete the cell. Our T4 is arriving this fall to take on applications up to four meters in length, and we have expectations of a second T4 in the future,” explained Bob. 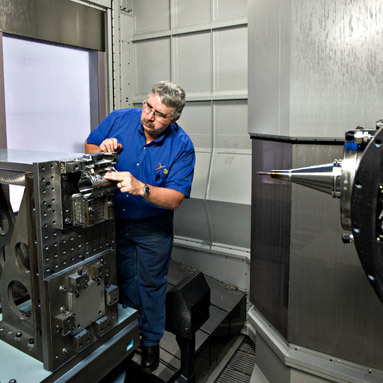 Patriot relies on advanced machining process capabilities to engineer new ways to improve efficiency, and supply what matters most to our customers: quality parts delivered on time. 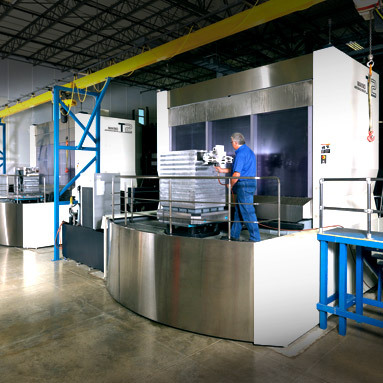 Where most other machine tool manufacturers use existing platforms for titanium machining processes, the T-Series machines are built from the ground up for titanium. In some applications produced on the T2, Patriot is consuming only one-fourth of the available tolerance post-assembly. To capitalize on increasing demands for hard-metal applications, Patriot invested in two Makino 6-axis horizontal machining centers. 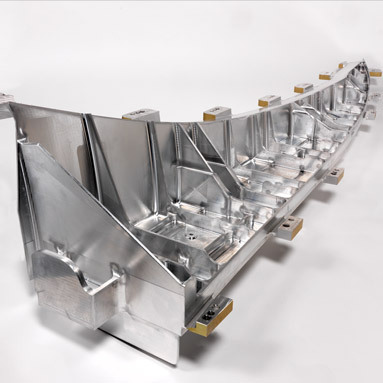 The capability to produce more complex features in a single setup has evolved simple assembly design into monolithic structures, enabling OEMs to significantly reduce the overall weight of aircraft for improved fuel efficiency. Patriot's T-Series investments have enabled the company to pursue greater complexity in the design of hard-metal applications. 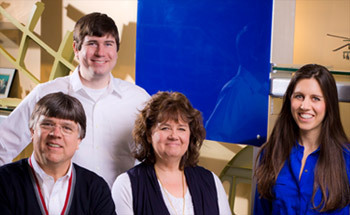 Family Matters at Patriot Machine Inc.
For those who believe in destiny, Patriot's connection to the aerospace industry could be considered more than mere coincidence. According to Patriot's president and vice president, Judy and Bob Burns, the company's background in aviation dates back to both of their grandparents, who each had separate chance encounters with Charles Lindbergh, an American aviator who made the first solo nonstop flight across the Atlantic Ocean on May 20-21, 1927. This history began with Bob's grandmother, Anna Burns, prior to Lindbergh's famed flight. During a trip over the St. Louis area, Lindbergh's plane began to develop ice on the wings, prompting the then-young pilot to land his plane in Burns' farm field before crossing the nearby bluffs. Several years later, Judy's grandfather, David S. Kemp, served in the National Guard and was given the opportunity to serve in Lindbergh's ground crew. “Judy and I joke around that our relationship was predestined by these historical family encounters with Lindbergh, but truthfully this family background adds another level of meaning to what we do at Patriot,” said Bob.